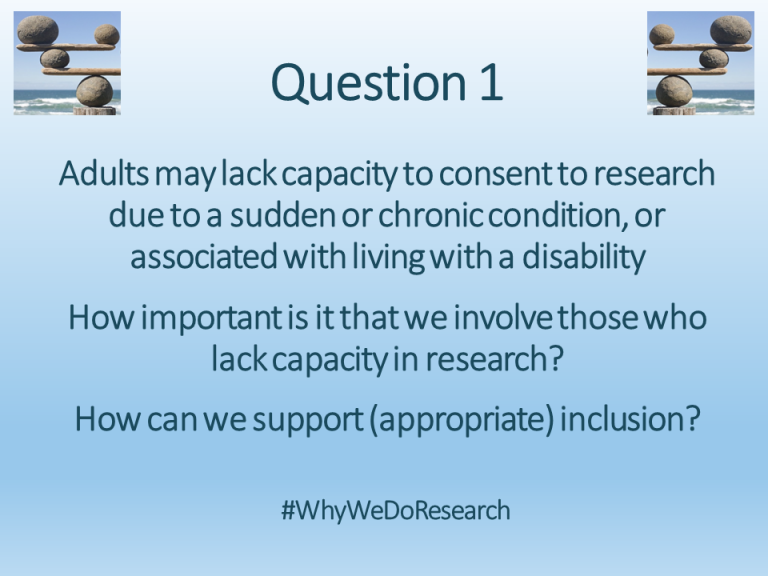 The hugely successful #WhyWeDoResearch social media campaign was established in 2014 to raise research awareness and opportunities to staff, patients and the public, and to start a conversation about research between all involved. 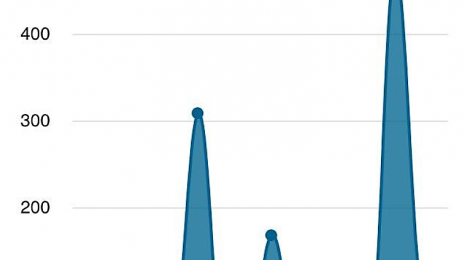 It has quickly become a global phenomenon reaching over 22 countries. 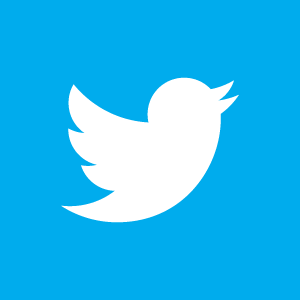 The Tweetfest is a timetable of tweetchats that cover a wide range of topics that are of interest to members of the research community, patients and public. Each tweetchat is hosted by an experienced ‘expert’ on the topic and encourages discussion by posting and responding to a series of questions on the topic. 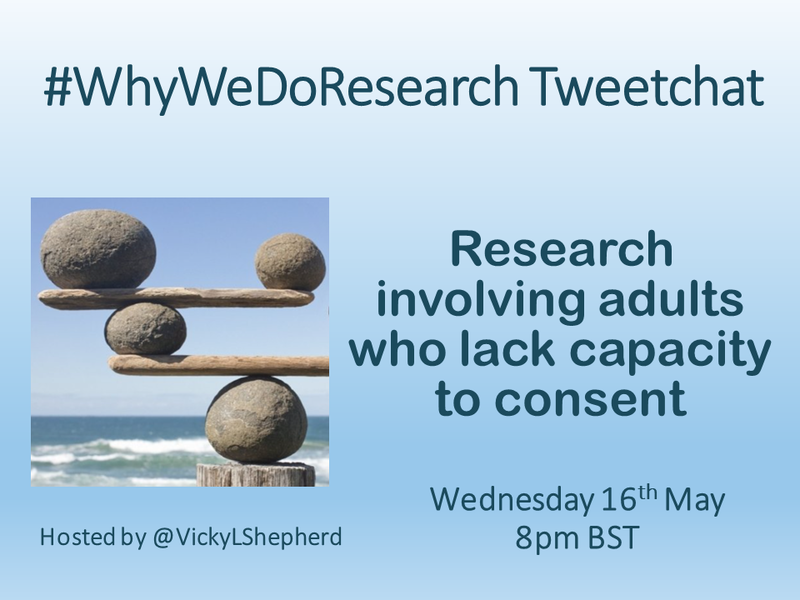 The tweetchats are open to everyone who wishes to join the discussion by adding the hashtag #WhyWeDoResearch to their responses. 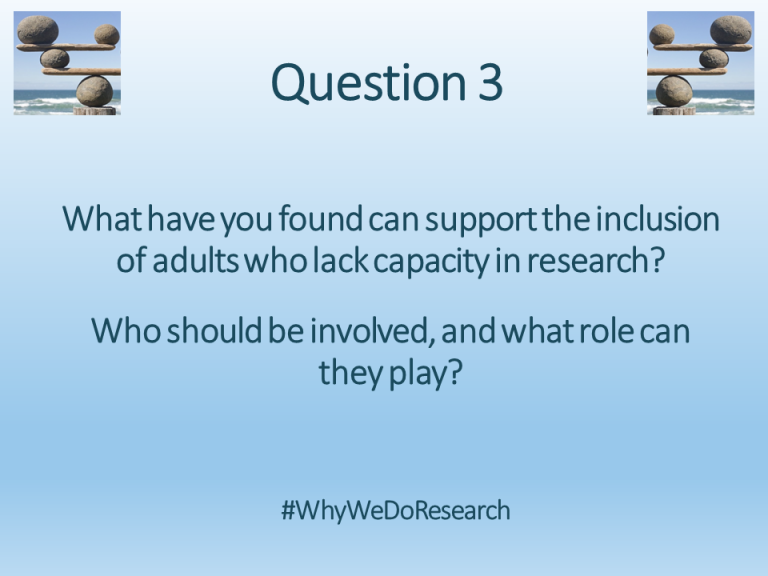 The third annual #WhyWeDoResearch Tweetfest took place in the week running up to International Clinical Trials Day on 20th May, and was arranged by Hazel Smith, Research Coordinator in the Paediatric ICU at Our Lady’s Children’s Hospital, Crumlin. 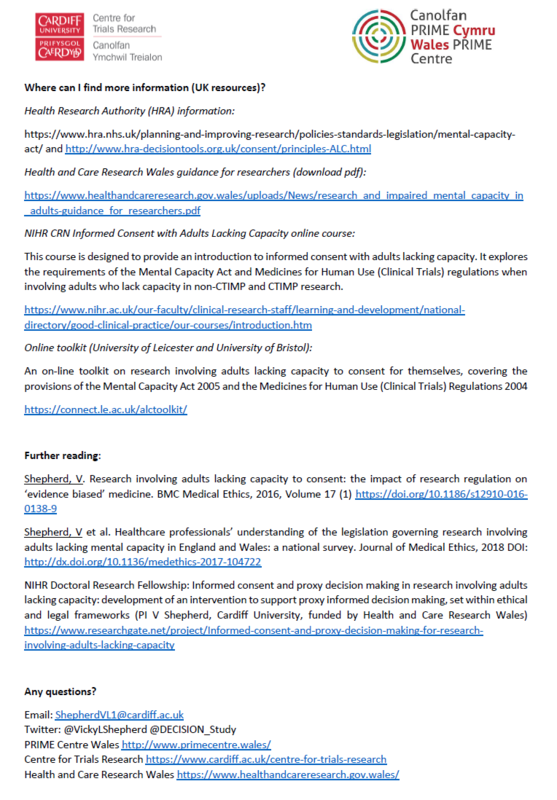 My current research focuses on the legal, ethical and practical issues surrounding the involvement in research of adults who lack capacity to consent as part of an NIHR Doctoral Research Fellowship funded by Health and Care Research Wales. 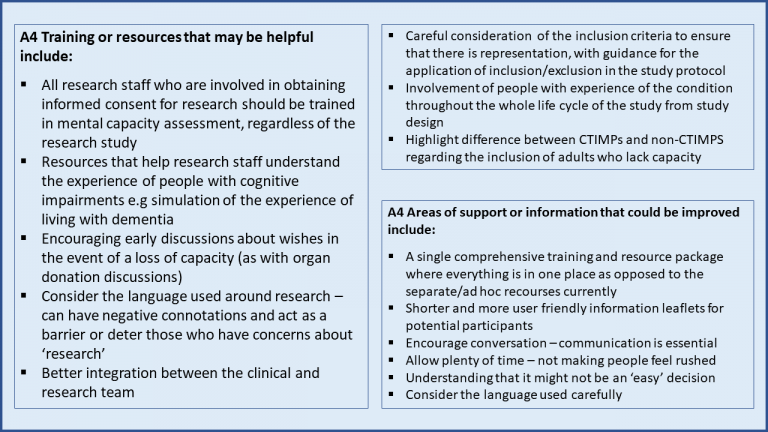 A previous blog describes how my interest in this area developed from my role as a critical care nurse turned researcher. It is a subject that generates many questions and seemed like a topic that might be of interest for a tweetchat. The tweetchat was particularly good timing as one of the studies from my Fellowship had just been published in the Journal of Medical Ethics. 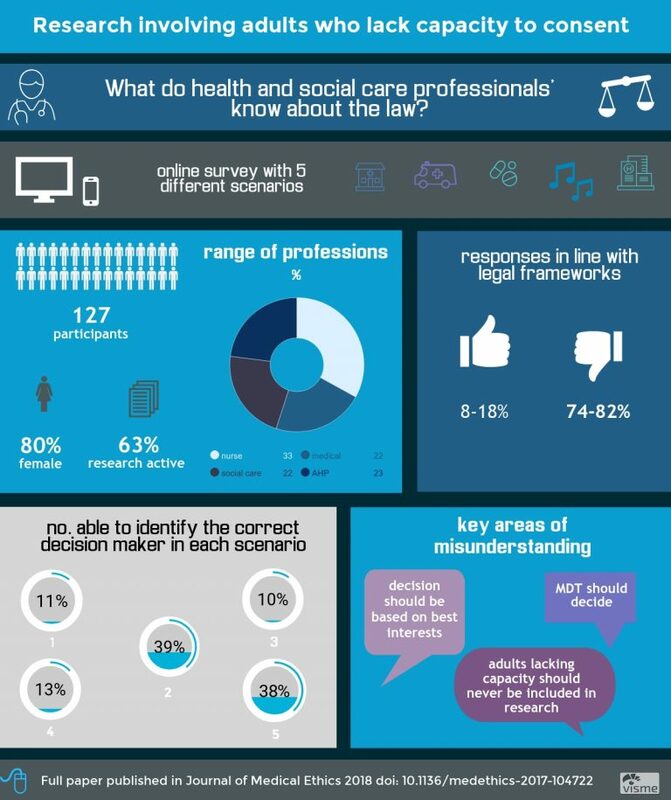 Our study found that the majority of health and social care professionals who participated lacked knowledge and understanding about the legal situation regarding adults lacking capacity in research. This included those who recruit participants, as well as Principle and Chief Investigators. 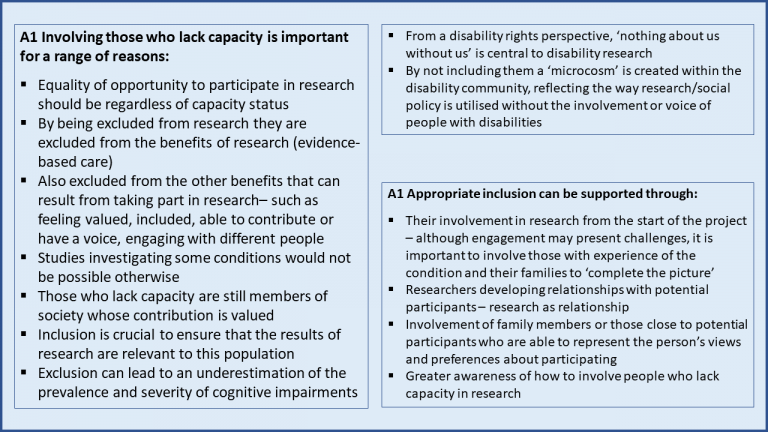 The study also revealed a deeper issue about attitudes towards the inclusion of people with impaired decision-making capacity in medical research, which we wrote about in a Journal of Medical Ethic blog. 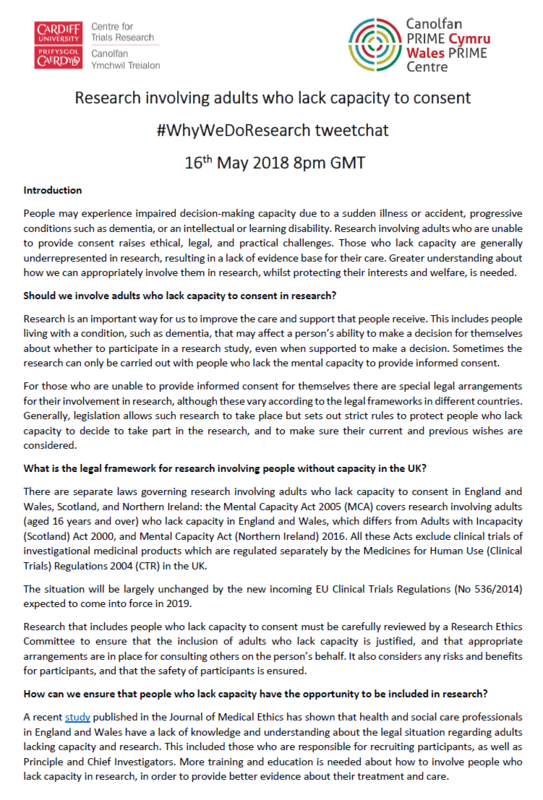 So, it seemed like a great opportunity to discuss some of these issues with the #WhyWeDoResearch community, and to hear their thoughts and share their experiences. 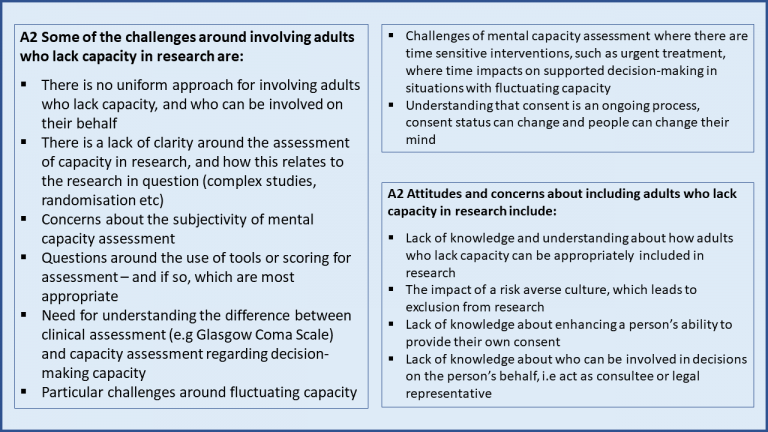 Over forty people, including both clinical and academic researchers, joined the discussion on research involving adults who lack capacity to consent. They joined from various parts of the UK, Ireland and the US. 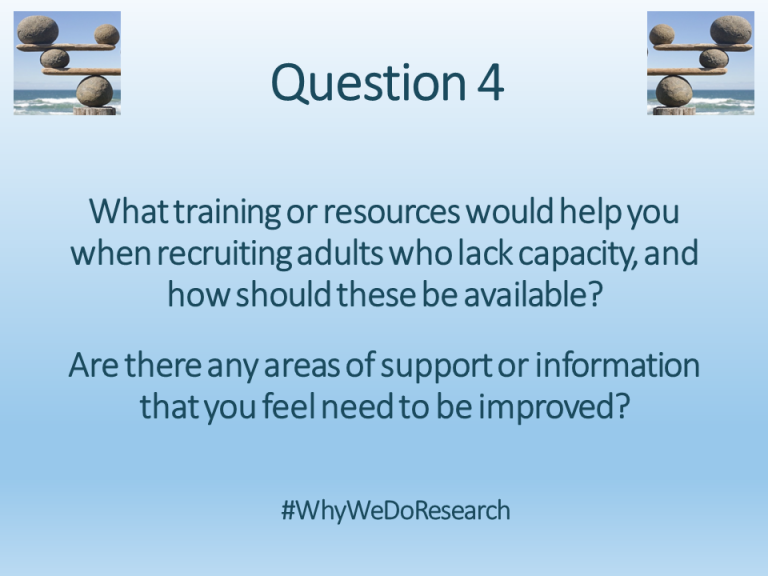 Four questions were used to facilitate the tweetchat by introducing the topic, identifying some of the challenges encountered, and thinking about what support or resources might be helpful. The responses are summarised by question below. The response was overwhelming with nearly 500 tweets/retweets during the hour! After the event people posted comments about how interesting and useful the tweetchat had been, and how much they had learned about the topic. The conversation has continued since too, with people getting in touch to ask follow-up questions or request advice or input into developing new resources. 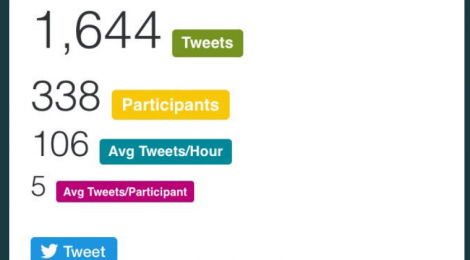 Hosting a tweetchat has been a hugely valuable way to engage with lots of people with an interest in the topic, who have a range of experiences and views to share. It is a fantastic opportunity to communicate key aspects of the topic in a way that other traditional methods of dissemination and engagement would not. 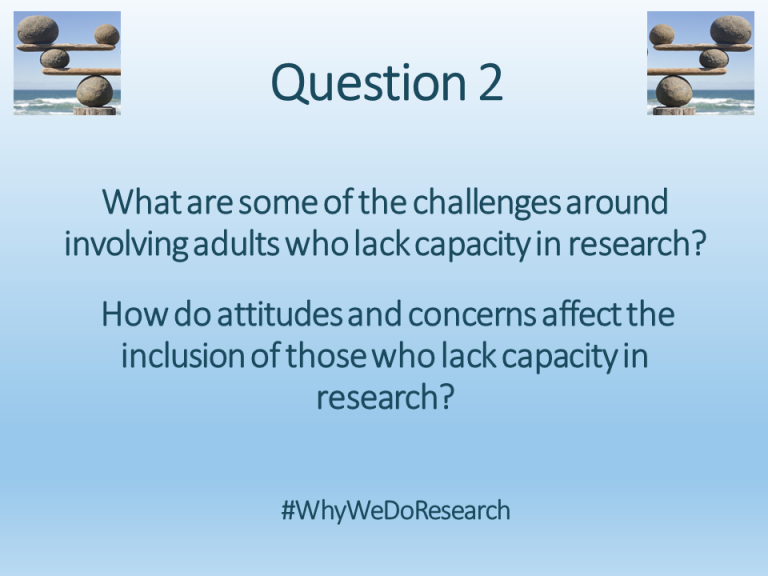 It also allows for two-way communication with the research community that can help identify areas where more support is needed, which helps shape my future plans. It is great fun too. Highly recommended! 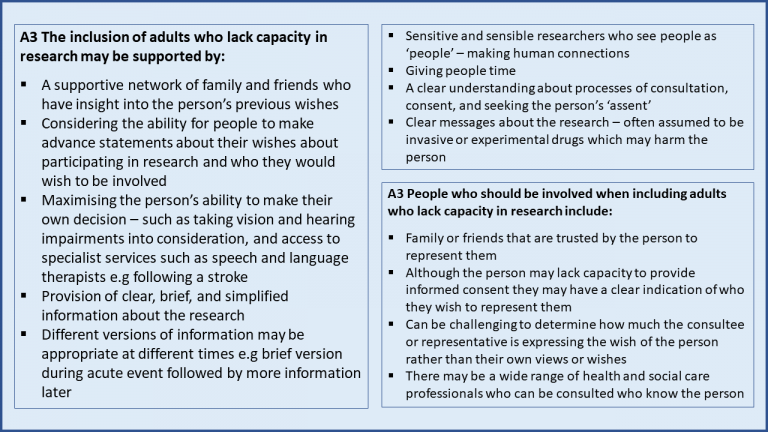 Shepherd V. Research involving adults lacking capacity to consent: the impact of research regulation on ‘evidence biased’ medicine.